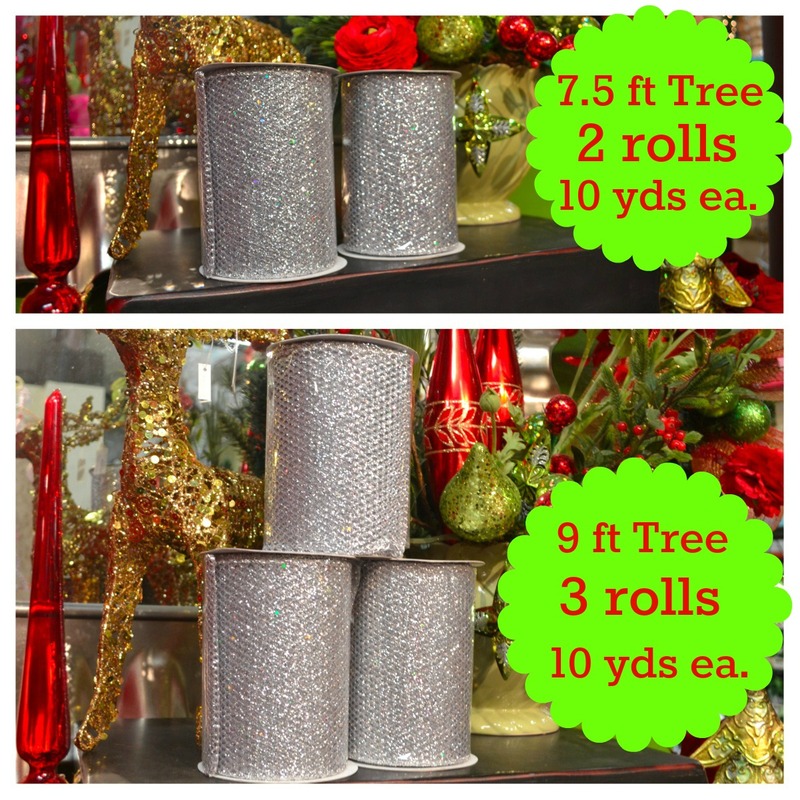 For a 9 foot garland you will need 10 yards of ribbon. Meet the 5 yard mark/middle of the ribbon with the middle point of the length of the garland. Twist the ribbon into the garland using two branches. Then, move to one of the very ends of the garland and twist the ribbon into the garland, leaving a tail. Do this at both ends of the garland before tying down the middle parts. You should only have ribbon twisted into the garland in three places at this point: the middle, and two ends. This ensures that you end up running the ribbon throughout the entire garland evenly using all 10 yards. Twist in the rest of the ribbon in a pattern: side, middle, other side. 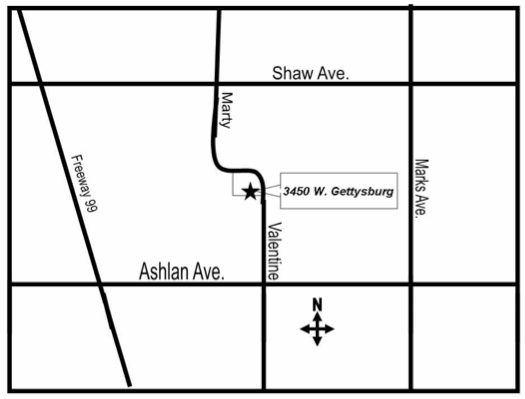 It’s sort of a zig zag pattern. This ensures that the ribbon is evenly dispersed and looks beautiful from all angles. So not matter if you are looking at the top or bottom it will give the illusion that the ribbon is running through the entire garland. 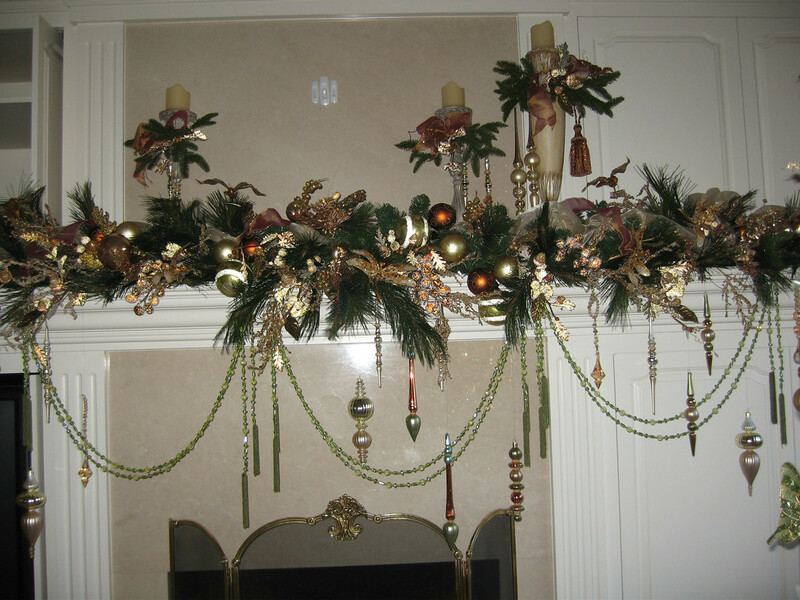 Hanging ornaments with fishline and draping beaded garlands from your garland and mantel, really highlight the ornaments instead of the pine. 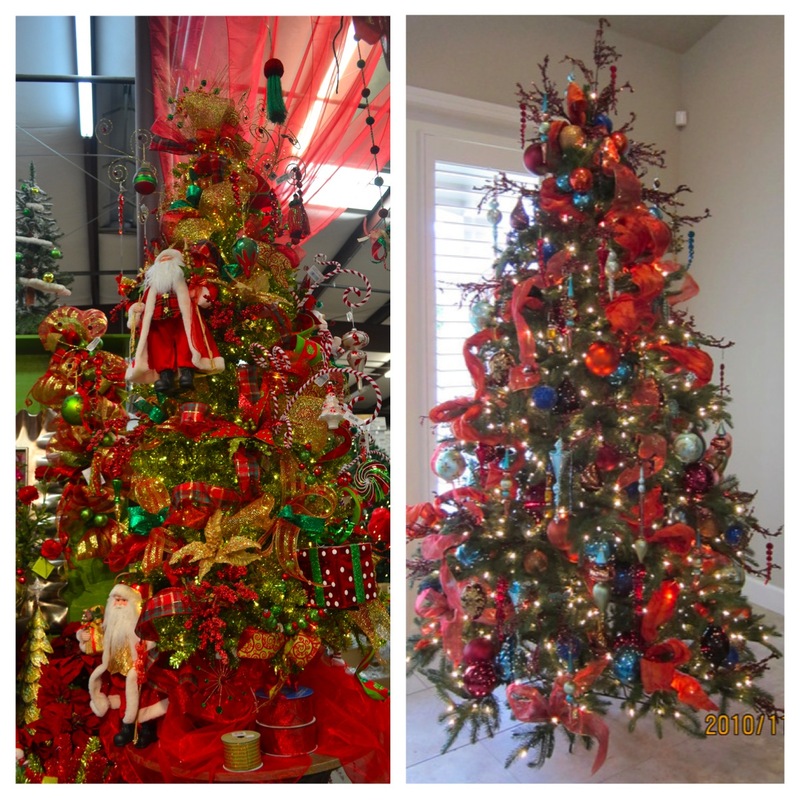 This is a great way to showcase your most prized or delicate ornaments, instead of hiding them in the tree. 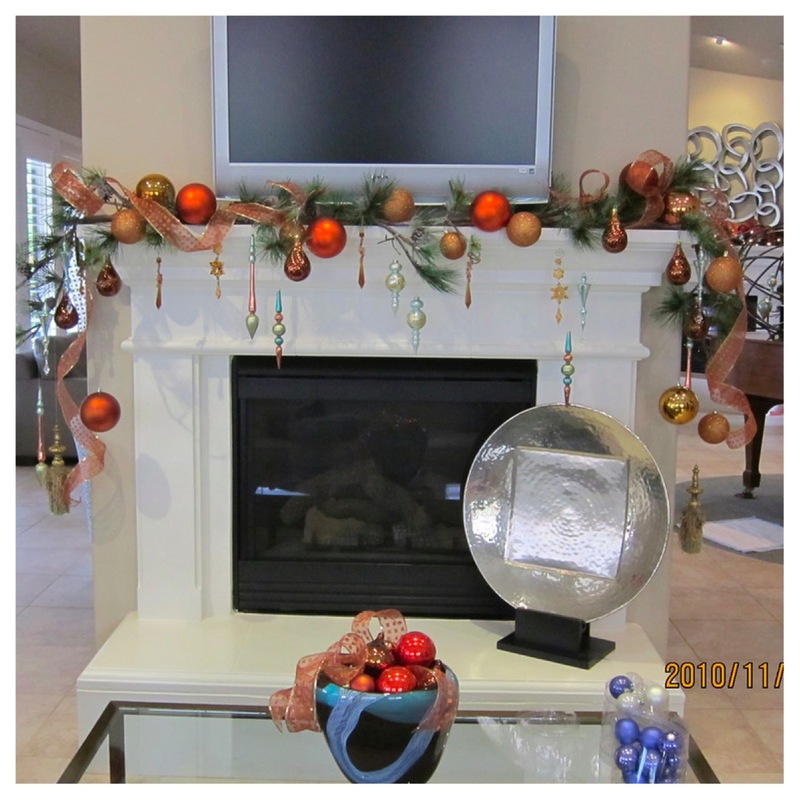 Hanging stockings can be challenging when you have a beautiful garland also hanging on your mantel. A great tip for this is to use 3M hooks to hang the stockings. Attach them to the fireplace and use coordinating ribbons to hang the stockings from the hooks. 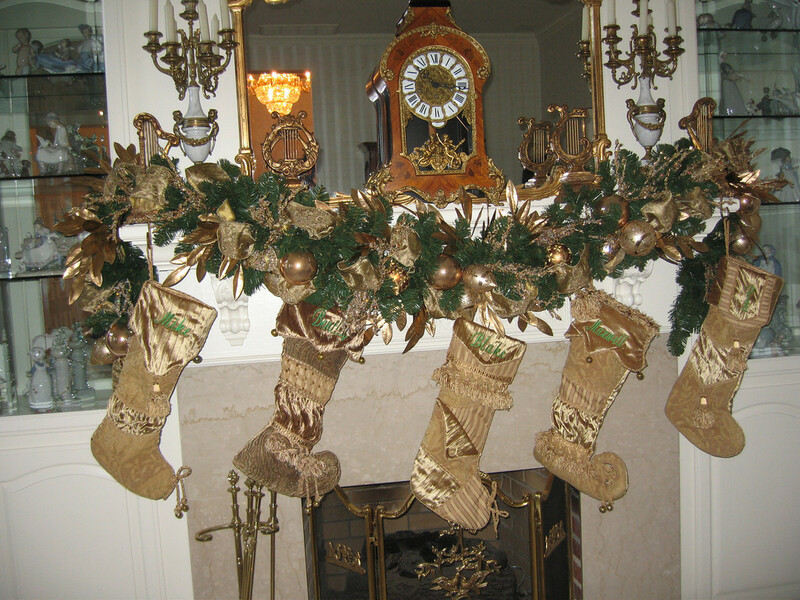 It will look like the stockings are hanging from the garland but they are really hanging from the mantel. 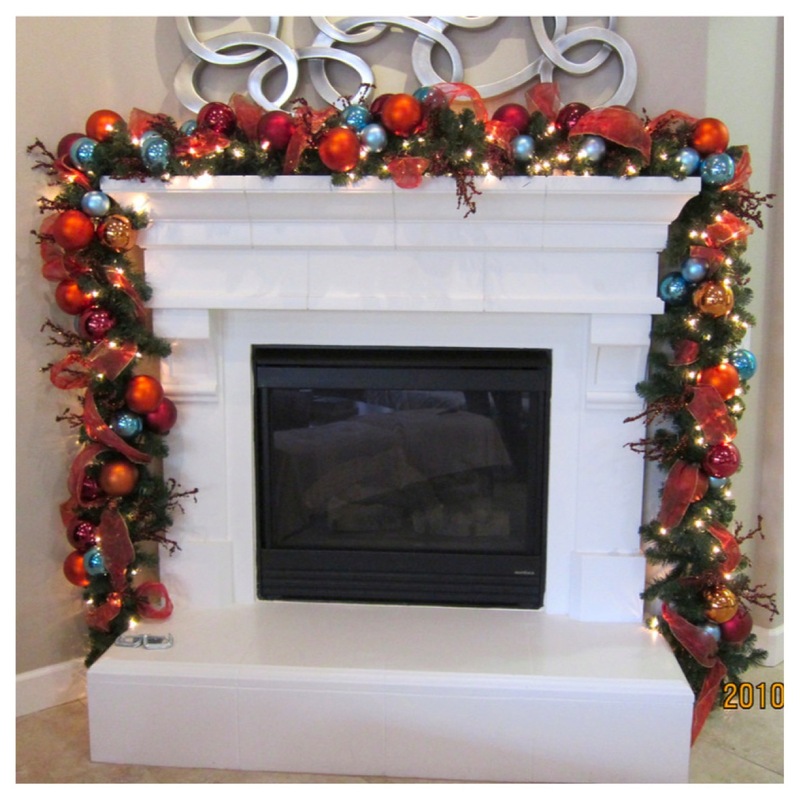 The hooks are removable and you can also use them to securely hang the garland on the mantel. 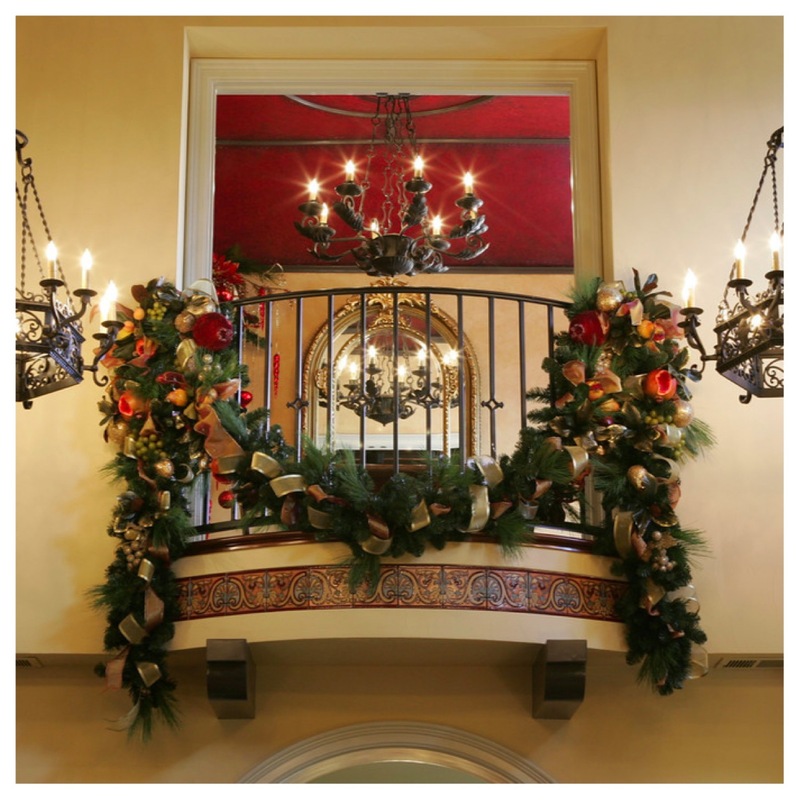 Here are a few tips for hanging a beautiful garland on your staircase or railing. 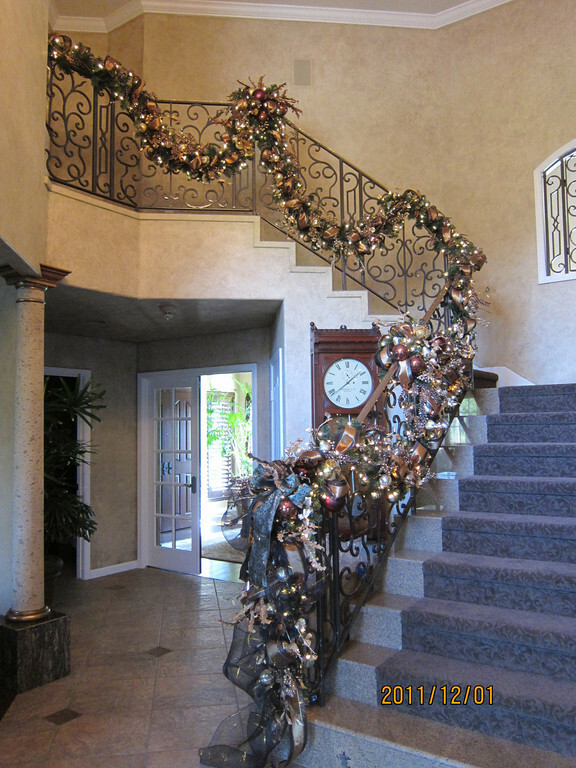 To figure out how long your garland needs to be, measure the length of the of the railing. 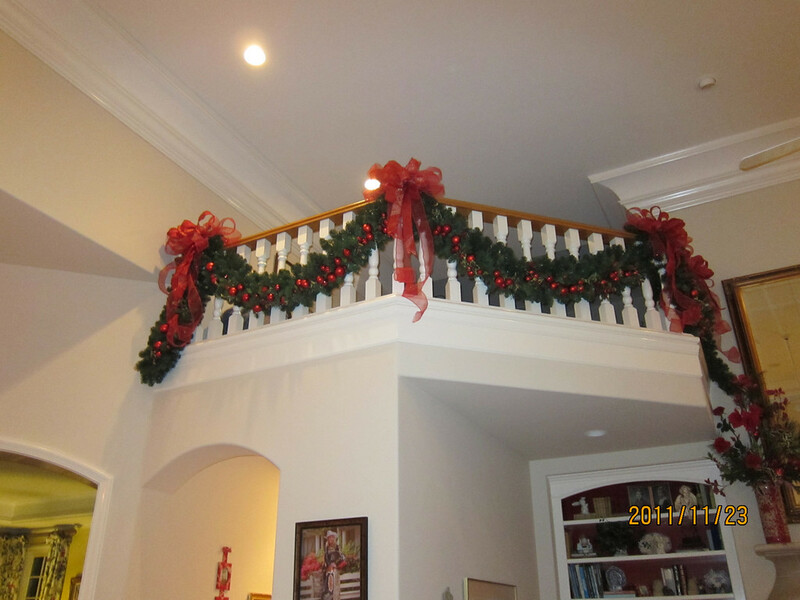 If you want your garland to run across the top of the railing, you will need the same length as the actual measurement of the railing. 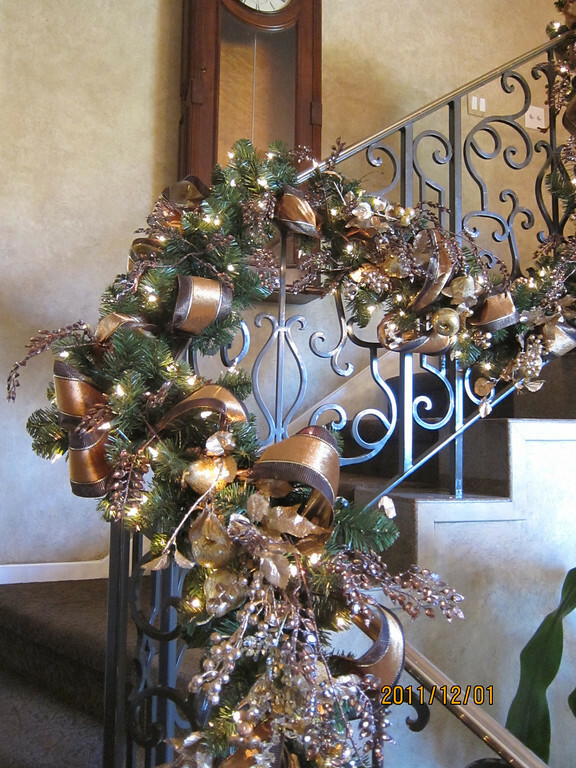 If you want your garland to dip, you will need 2 to 2.5 times the amount of the actual measurement of the railing. For a lit garland, always be sure to plug it in before you hang your garland, to make sure all of the lights are still working properly. 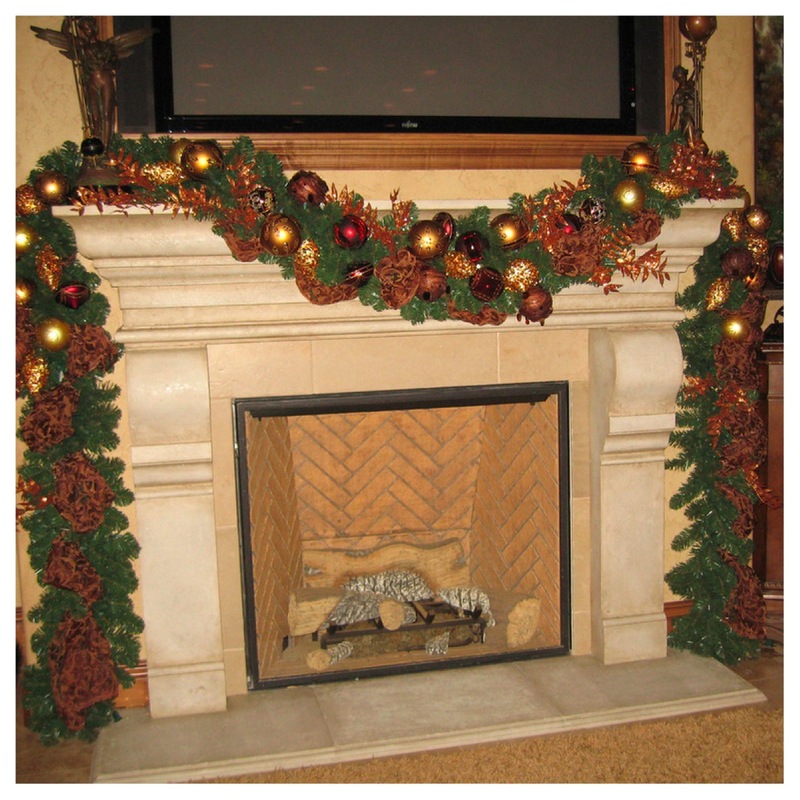 Also for a lit garland, always double check which end of the garland has the correct end of the cord you will need to plug into the wall. You don’t want to get it up and not be able to plug it in because the correct cord is on the opposite end. Bring the ends of the garland all the way down to the floor, this makes it easier to reach the wall outlet in order to plug it in, and it will also hide the outlet and plug. Once Thanksgiving has come and gone…Once you have spent time with your family, stuffed yourself full of turkey, and reflected on everything that you are thankful for…It is officially time to start decorating for Christmas! 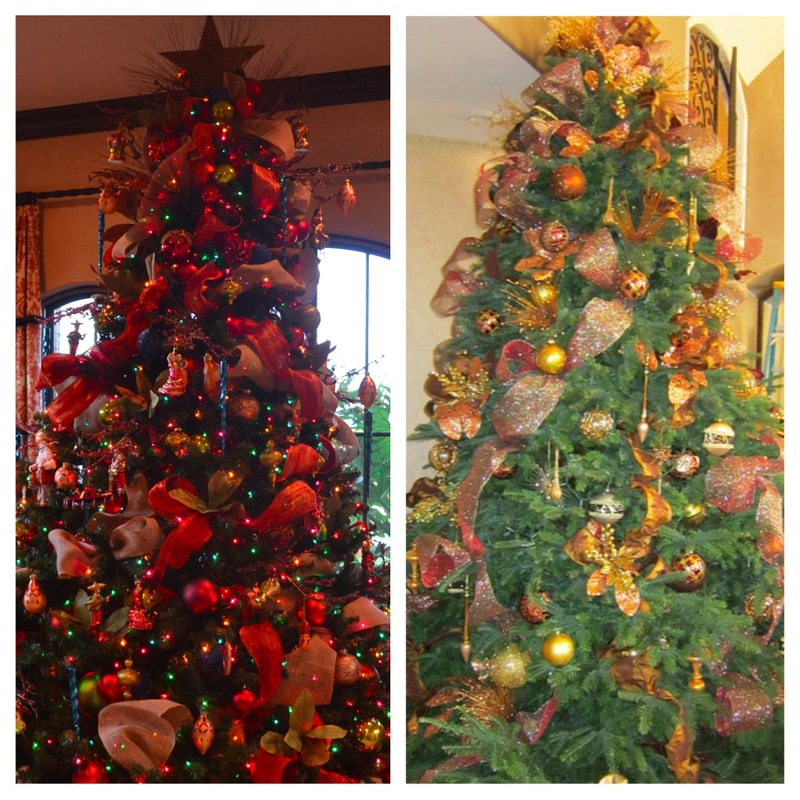 Pull out your tree or shop for a fresh Christmas tree and dust off the boxes of decorations, lights, wreaths, garlands! 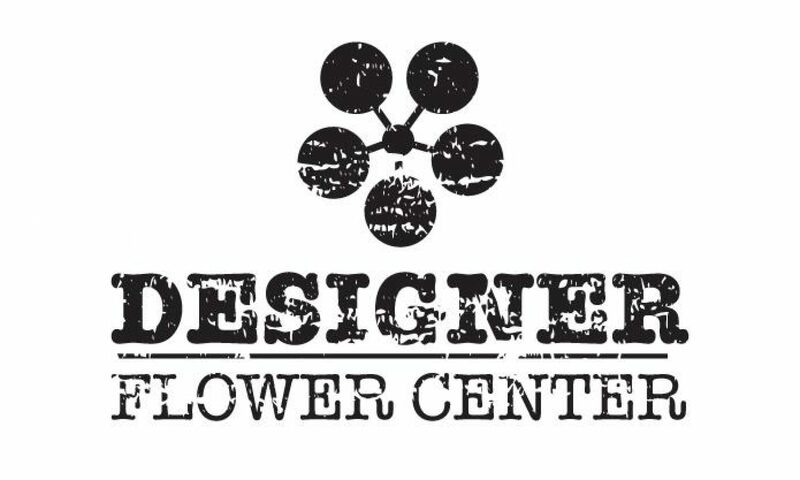 And if you’re in the market for some new Christmas decor, you’ll definitely want to stop by DFC for all you’re holiday decorating needs! Plus, you won’t want to miss our Black Friday and Shop Small Saturday Sales! 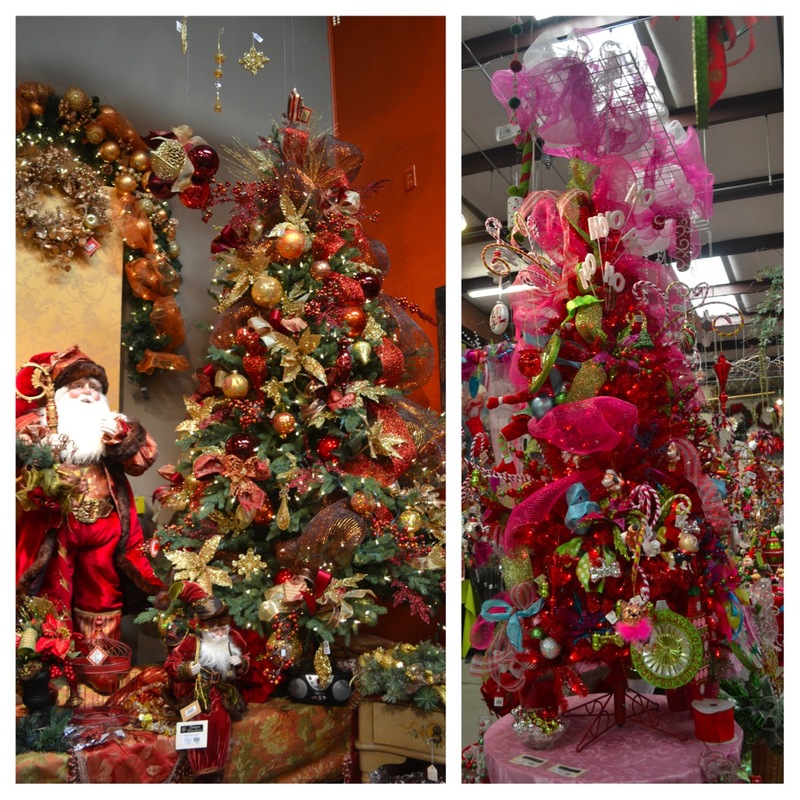 Before we get to the sales, though, we thought we’d share some of our Christmas Tree Decorating Do’s and Don’ts for you to keep in mind while decorating your tree this year! Two questions we get a lot are, “How much ribbon do I need to buy for my tree?” and “How many ornaments will I need?” We have a formula for figuring out how much ribbon to buy to decorate your tree. 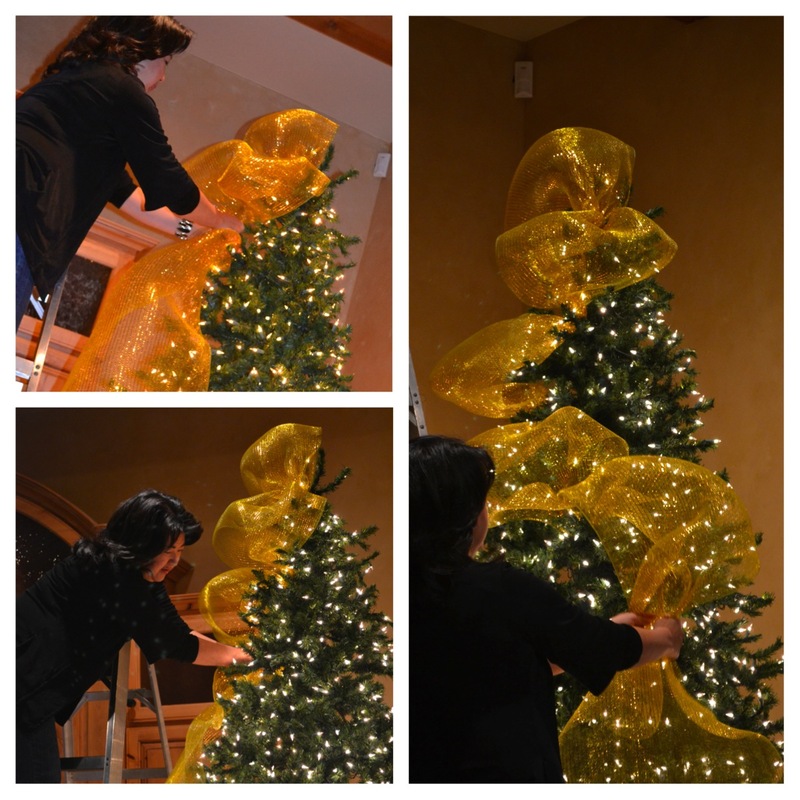 Depending on the size of your tree, we used average sizes 9ft and 7.5ft, we suggest the following: For a 7.5ft tree, unroll the spool of ribbon and find the middle by folding it in half. Start at the top of the tree using the middle, and work your way down the tree using each end separately. For a 9ft tree, start at the top of the tree using the end of one spool and work your way down, when you run out of one spool start where you left off using the next spool. As for the second question, Lisa says she usually divides the tree into thirds, it’s usually the view of the tree that you can see from the spot you are standing. Then, estimate how many items fit in that third of tree and multiply that number by three. It’s usually a good estimation for how many ornaments you will need. Run Ribbon Through the Tree First! Always Start at the Top! Always run your ribbon through the tree first! 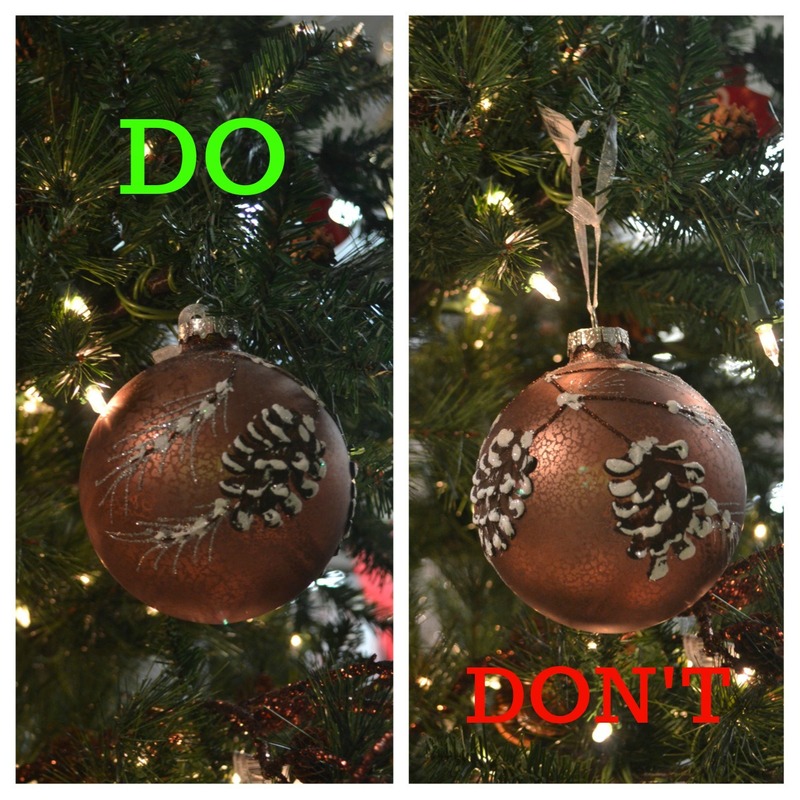 By doing so, there is much less risk of damaging any ornaments, because there won’t be anything on the tree yet. Always start running the ribbon through your tree at the top and work your way to the bottom in a zig zag. Start at the top and go as far to your left as you can reach, then go the other direction. That way you only have to come down the ladder once to move the ladder. This is more time efficient, as well as, less stress on your body. To secure the ribbon into an artificial tree, we take two pine branches and twist the ribbon between the branches to secure it. If you are working with a fresh tree, this is not possible. 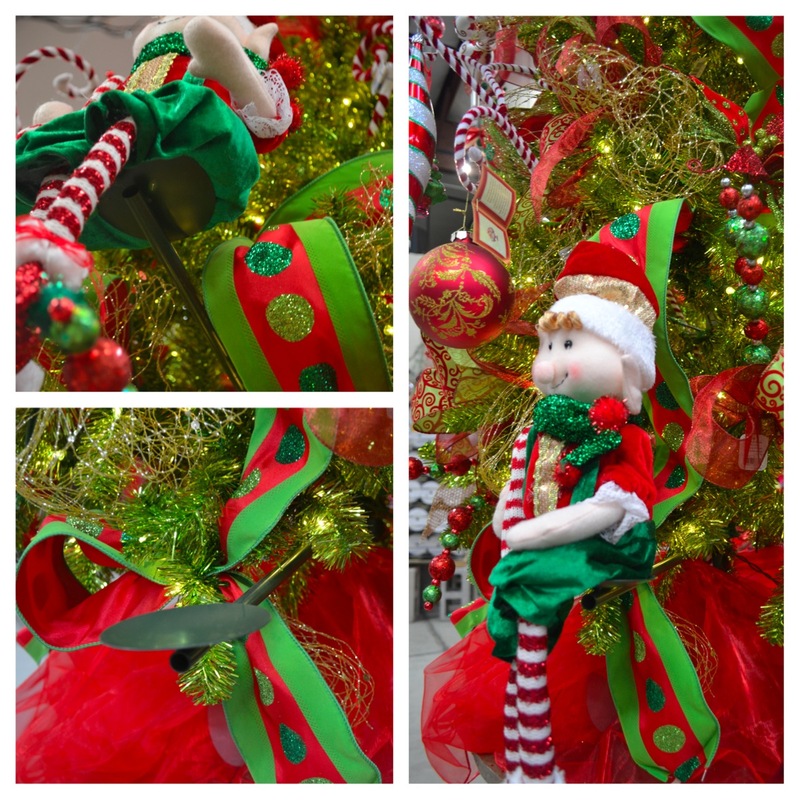 Instead we suggest using pipe cleaners, or what we also call chenille wire to secure ribbon into your tree. It’s much easier to work with than floral wire but will hold it in place just the same! 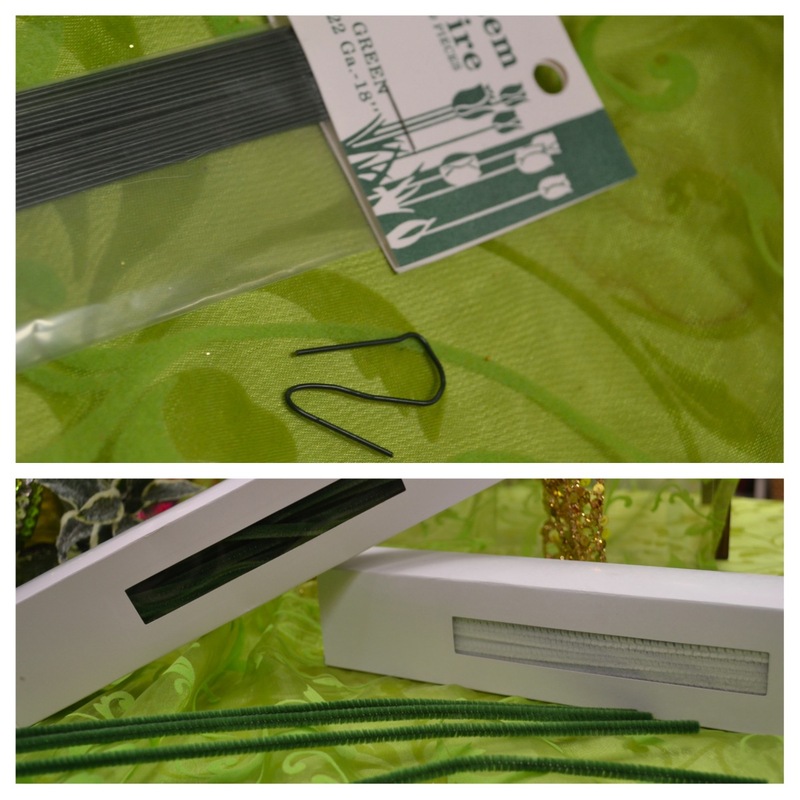 We also suggest making your own “S” hooks out of floral wire to hang your ornaments! Hang Ornaments Close to the Branch! When hanging your ornaments, you want to hang them close to the branch to ensure that they will stay, and also for a more professional look! 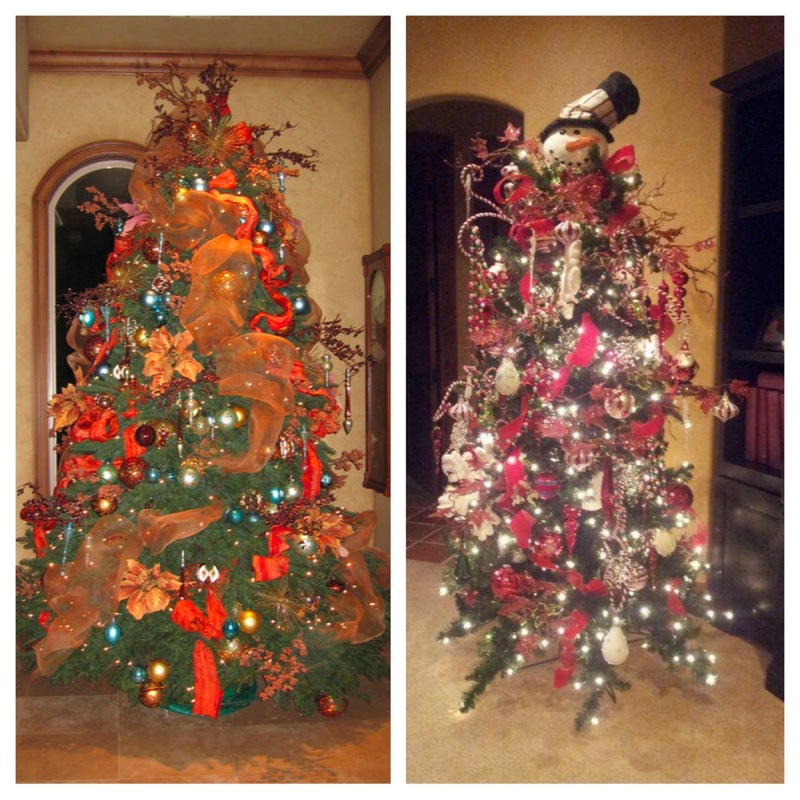 This method allows for more ornaments to fit on the tree and it is just overall, more visually pleasing for the overall look of the tree. See the difference it makes?…. 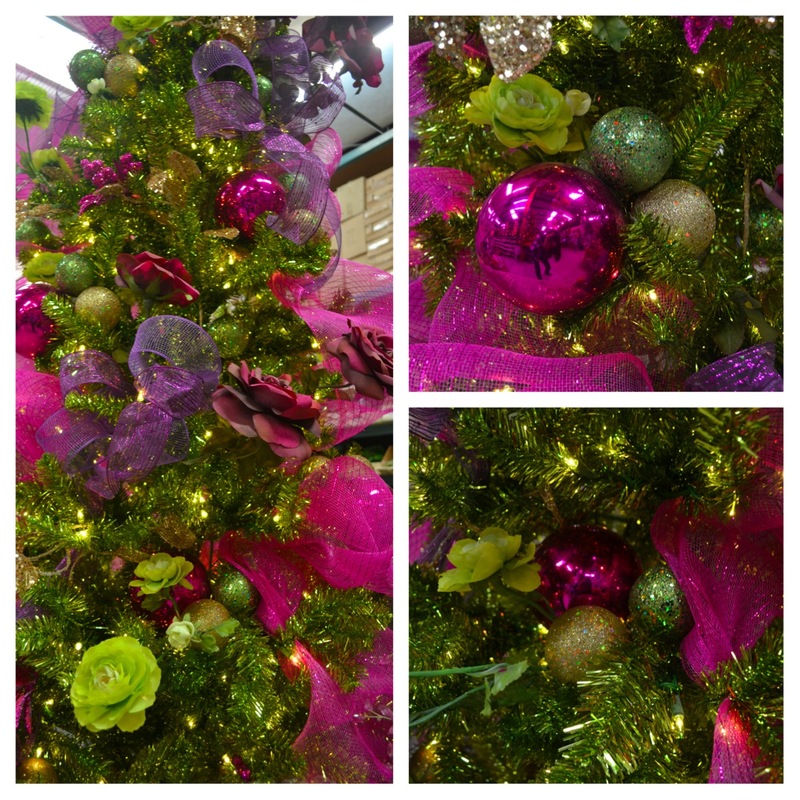 For more impact, make clusters of ornaments grouped together on your tree. Tuck these clusters inside the tree to give your tree more depth, so that not everything is just on the outter branches. The lights will reflect on these ornaments that are tucked inside and it gives the tree some background.